An enhancement of the well established RBS series with an up to 30% increment of the WLL! The two points of attachment facilitate an even and optimal force distribution into the work piece and thus, usage of thinner base plates is possible. 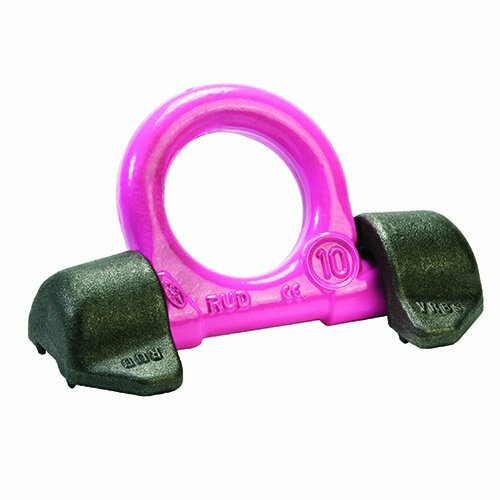 A forged, pink coated ring bracket according to EN1677-1. The welding block is forged out of a good welding material 1.0577+N (St 52-3). Low profile, high dynamic and static strength. The ring is stowable and thus avoiding the hazard of tripping.